The Kano State Government has assured corps members posted to the state for the one year mandatory service of adequate security and enhanced welfare during their stay in the state. 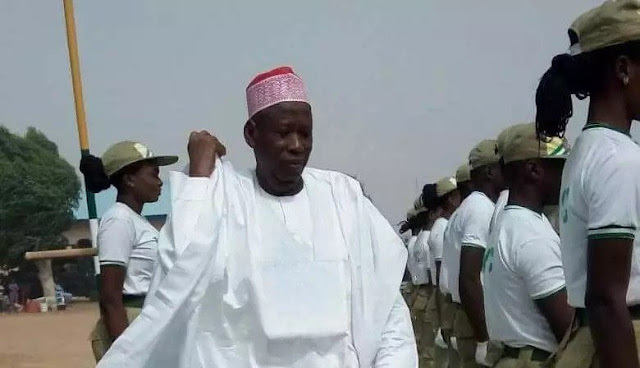 The Governor, Dr Abdullahi Ganduje gave the assurance on Tuesday during the closing ceremony of the 2019 Batch ‘A’ corps members three weeks’ orientation course at the NYSC Orientation Camp in Karaye Local Government Area of the state. The News Agency of Nigeria (NAN) reports that the state Commissioner for Information, Malam Mohammed Garba represented Ganduje at the occasion. He said: “It is in this regards that I reiterate my earlier directives that on no ground should any Ministry, Department, or Agency reject any corps member posted to them. “The Ministry of Information, Youths, Sports and Culture should synergise with the NYSC to ensure proper implementation of the local allowances for those posted to State and local government establishments without any further delay”. He enjoined the corps members to respect the socio-cultural and religious beliefs of the people and co-exist harmoniously with their host communities during the service year. He advised them to shun all acts that may pose threat to relationship with their host communities such as drug abuse, cybercrimes or anything that will tarnish good image of the scheme or their families. The Governor said the state government would continue to live up to its statutory responsibility to the NYSC through the development of the orientation camp and other areas that improve the the scheme. Earlier in his remarks, the state NYSC Coordinator, Alhaji Ladan Baba urged the corps members to settle down immediately wherever they were posted for their primary assignments and Community Development Services (CDS).